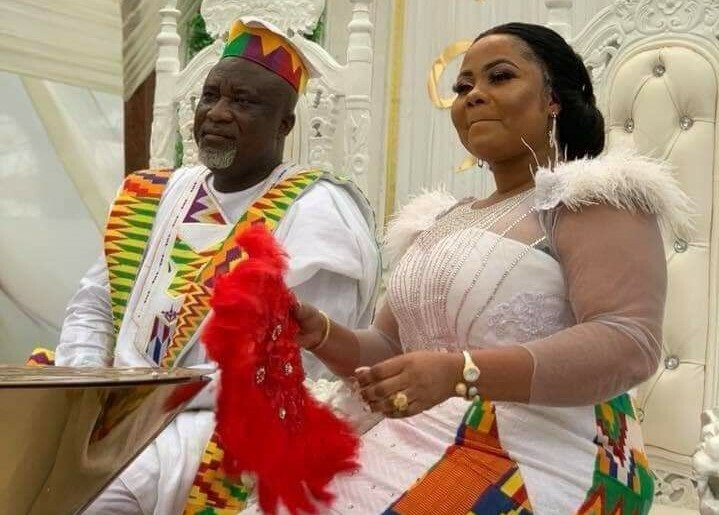 Gospel diva Gifty Osei (Adoye) also known as Empress Gifty had a classic bridal shower before her wedding ceremony with her newly found sweetheart Hopeson Yaovi Adorye, a staunch member of the ruling New Patriotic Party. Sources close to Empress Gifty confirmed to us that the colorful bridal shower took place at the Golden Tulip Hotel in Accra a night before the wedding. In a video sighted by Attractivemustapha.com, Empress Gifty appeared to be surprised as she was surrounded by friends and prominent ladies. Bridal shower has become a trend among Ghanaians in recent times and it is a great night for the bride to party with her family and close associates, share gifts and warm messages to usher the bride into her husband’s house.